Halloween is right around the corner, which means it’s time to find the perfect costume once again. I have to be honest…I hate buying Halloween costumes! They are so darned expensive, and they usually only get worn once, so why not make your own…FOR FREE! My friend Jamie from C.R.A.F.T. started a new blog all about Halloween costumes, and I LOVE it! She encourages her readers to create really awesome free things (that’s where the C.R.A.F.T. comes from) and she shares amazing and fun costumes that anyone can make on her new blog, Really Awesome Costumes! 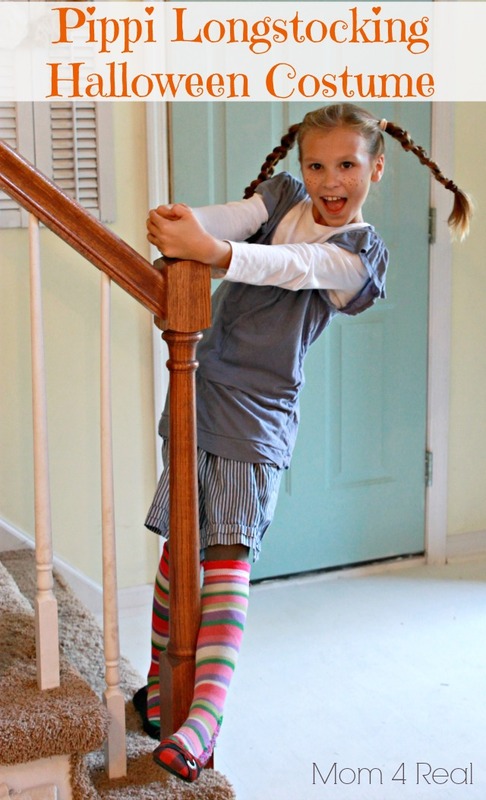 Today, I am sharing a totally free costume that Kate and I put together with things from around our home…here is our version of a Pippi Longstocking Halloween Costume. Here is a version of the Pippi Longstocking costume that we put together for Book Character Day at Kate’s school last year. I shared this photo on Instagram, and it really struck a cord with a lot of people. 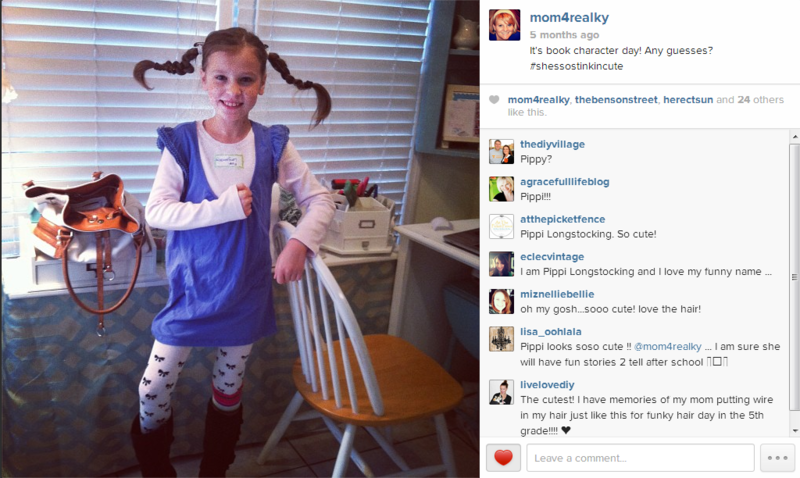 I loved Pippi growing up, and love that Kate shares my love for her! The outfit is a bit different in the instagram photo, so it really shows you that you can grab whatever you have to put this costume together. 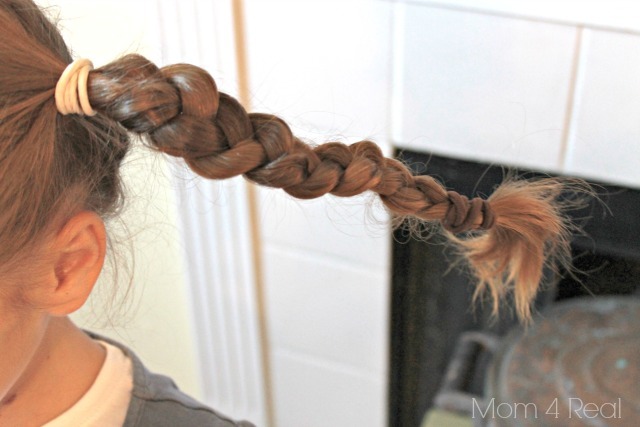 The main components in my opinion are the braids and freckles with mismatched clothing. We threw on some mismatched pieces, then put her hair in pigtails. 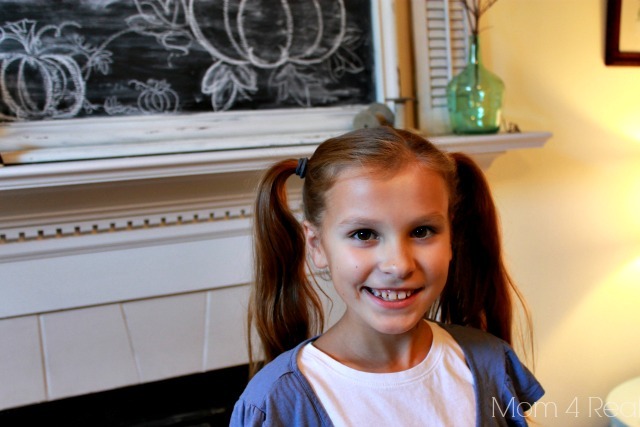 Next, we braided her pigtails. 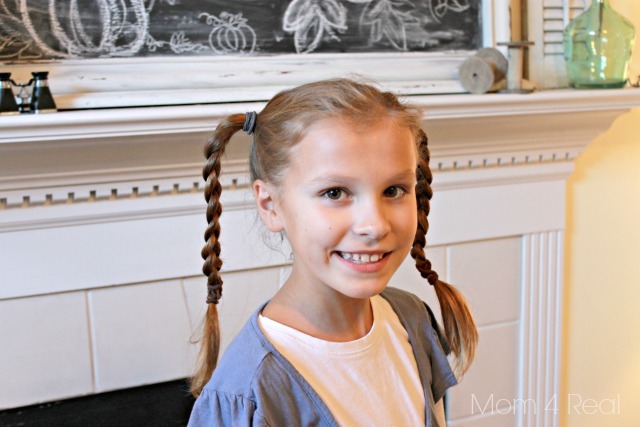 Then I grabbed two twigs to string through her pigtails to make them stick out a bit. Floral wire works a bit better, but I didn’t have any on hand and really wanted to create this costume for free. 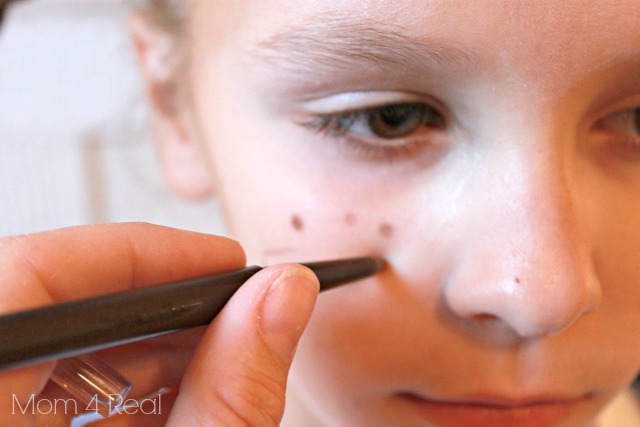 Now for the freckles…I simply used my eyeliner pencil to make little brown dots on her cheeks and nose. Now Kate is Pippified! She is wearing a white long sleeved tee, a blue shirt of mine, a wrinkly skirt that used to be mine, some striped socks (one right side out, one inside out), and mismatched shoes. Totally Free, baby! So, what do you think? Did we pull it off? 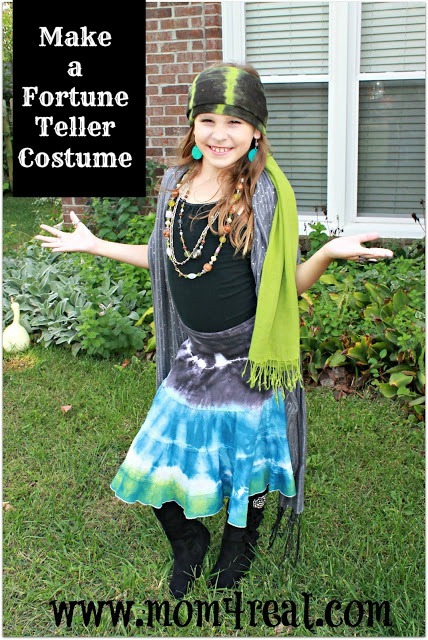 Here is another practically free costume we made for Kate last year…a Fortune Teller Costume! 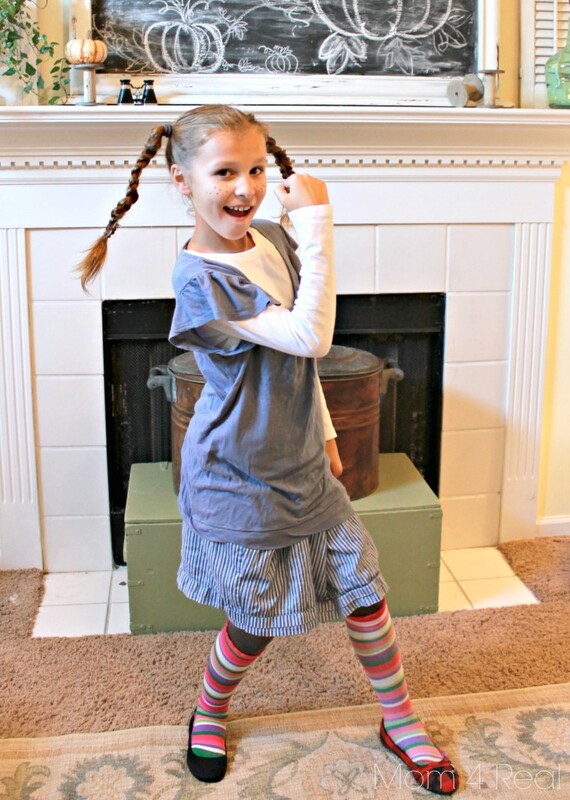 Have you ever made your own Halloween Costumes? I would love to see them!!! For tons of fabulous Halloween costume ideas, visit Jamie’s super awesome site, Really Awesome Costumers—> HERE! 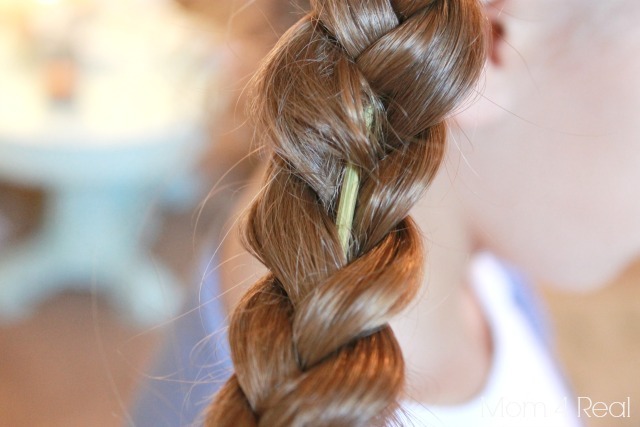 Twigs in the hair… genius! Such a cute costume idea! Thanks for participating in Really Awesome Costumes!